August 2009 - Hairlicious Inc.
Shampoo - Helps restore and maintain hair's vital moisture balance, transporting ultra hydrating emollients into the hair shaft to provide incredible manageability, unsurpassed elasticity, and extraordinary shine. Rejuvenates dry, brittle hair with an exotic blend of cleansing Soapbark, nurturing botanicals, and moisturizing Manuka Honey, rendering hair smooth, soft, and silky. Pamper yourself with soothing aromatherapy essences of Pineapple and Coconut. 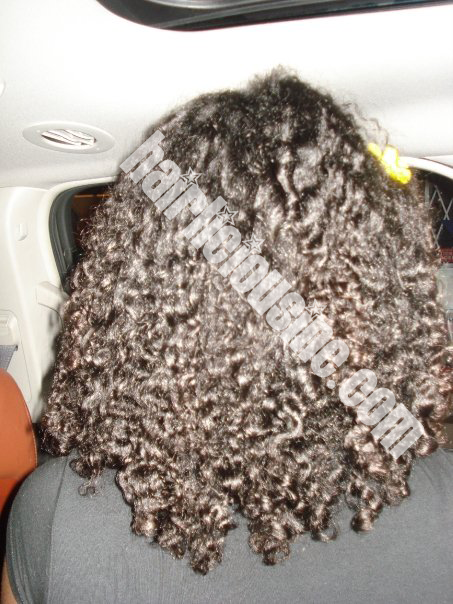 Conditioner - This deep conditioner transports moisture to the innermost structure of the hair. The ultimate hair moisturizer for results you can see and feel. Vitamins, Minerals and Keratin Nucleic Acids combine to correct dry, damaged hair. Fortified with NexxuSpheres, the exclusive microsphere technology for time-release delivery of Ceramides, Nutrients, Antioxidant Vitamins and UVA/UVB Protectors. Deep moisturizing emollients improve colour retention, elasticity and luster. Leave-in or rinse out formula. Contains Panthenol (Vitamin B-5) for increased body. Excellent for excessively curly hair. Shampoo - Apply to damp hair. Massage into hair and scalp. Rinse thoroughly. Avoid contact with eyes. In case of contact, rinse thoroughly with water. Conditioner - Distribute evenly into clean, damp hair. Leave in 1 to 3 minutes. Rinse thoroughly.Avoid contact with eyes. In case of contact, rinse thoroughly with water. Shampoo - Aqua, Sodium Laureth Sulfate, Cocamide Dea, Coca- Midopropyl Betaine, Hydrolyzed Quinoa, Chamomilla Recutita (Matricaria) Flower Extract, Rosmarinus Officinalis (Rosemary) Leaf Extract, Quillaja Saponaria Bark Extract, Urtica Dioica (Nettle) Extract, Leptospermum Scoparium (Manuka) Honey (Mel), Polyquarternium-10, Styrene Acrylates Copolymer, Panthenol, Allantoin, Hydrolyzed Wheat Protein, Magnesium Citrate, Sodium Chloride, Methylchloroisothiazolinone, Methylisothiazolinone, Citric Acid, Propylene Glycol, Propylparaben, Methylparaben, Coumarin, Parfum/fragrance. Conditioner - Aqua, stearalkonium chloride, glycerin, cetyl alcohol, mineral oil (paraffinum liquidum), cetearyl alcohol, hydrolyzed quinoa protein, cocos nucifera (coconut) fruit juice, leptospermum scoparium (manuka) honey (mel), hydrolyzed wheat protein, panthenol, tocopheryl acetate, magnesium citrate, maganese citrate, polysor- bate 60, potassium sorbate, petrolatum, stearyl alcohol, disodium edta, dmdm hydantoin, iodopropynyl butylcarbamate, peg-40 castor oil, methylparaben, propylparaben, benzyl salicylate, linalool, limonene, parfum/fragrance, red 4 (ci 14700), yellow 5 (ci 19140), blue 1 (ci 42090), red 33 (ci 17200). Shampoo - I've used this shampoo on numerous occasions i.e. after a prepoo and without one. I find that if I prepoo before hand, my hair retains more moisture as opposed to going straight into the shampoo'ing stage. This is the only way I will use it (after a prepoo). It is a little stripping due to the SLS. However, what I love most is the SCENT. It's a wonderful exotic tropical scent (smells like a Pina Colada drink). I'm not crazy over this shampoo, so I'm not sure if I will continue to use it. Conditioner - Awesome conditioner, leave-in and deep conditioner. I must admit that it's not the greatest at detangling my hair when I'm 8 wks + post relaxer. I'm quite disappointed, but I figured since it doesn't have any silicone in the ingredients. At the same time, my NG is extremely coarse so anyone who has a hair type of 3b,c or 4a should have a better time at detangling their hair. This conditioner increases the moisture levels in my hair. Every time I use it I'm amazed at how moist, soft and thick my hair becomes. I've officially hit another milestone in my hair journey and I can honestly say that I've made Bra Strap Length! Promises: Are you looking to breathe life back into your dry, damaged, over processed hair? Then look no further than the Hair Therapy Wrap. Using special gel packs, the Hair Therapy Wrap combined with your favorite deep conditioner will enhance its restorative healing properties. Studies show that the thermal properties of the Hair Therapy Wrap aide in deeper product penetration into the hair shaft. With consistent use your hair will feel & look stronger and healthier. The Hair Therapy Wrap does not require any electricity to heat, just microwave the assembled wrap, place securely on your head and enjoy continuous warm heat for up to 30 minutes. Works well with deep treatments, hot oils or reconstructors. One size fits most. Directions: The Hair Therapy Wrap is a reusable, heated hair wrap. Place a gel pack in each pocket of the Hair Therapy Wrap. There are 2 rounded side gel packs and 1 middle gel pack. Make sure that gel packs lay flat in each compartment. Heat to desired temperature in a microwave. See heating instructions. Place assembled Hair Therapy Wrap in a domestic microwave oven. Heat for around 80 seconds depending on desired heat. Test the heat at 10 second intervals to find out the desired heating time for your microwave. Do not touch the gel packs directly. 1. Bring 3 qts of water to a rolling boil. 2. Remove gel packs from Heat wrap and immerse only gel packs in heated water with kitchen tongs for no more than 5 minutes. Do not put the heat wrap in the boiling water. 3. Remove gel packs from boiled water with kitchen tongs. Ingredients: The toweling cover is 100% cotton and machine washable with gel packs. The Truth: I got the Hair Therapy Wrap from HoneyFig earlier this week. I pushed back my relaxer just so that I can see how it works on hair that is 10 weeks post relaxer filled with coarse new growth. I followed the directions completely and I used the HTW for my light protein treatment and for my moisture deep treatment afterward. I'm shocked to say that the HTW remained warm for up to 30 mins plus. It gets really hot right out the microwave and then gradually cools off around 25-30mins (no lie). I felt so free walking around the house with it on my head. My hooded dryer holds me hostage with every deep condition, so this was a nice change! After applying my leave-in conditioner, my hair felt extremely soft and supple, maybe a little too much. I couldn't keep my hands out of my hair!!! Honestly!!! My hair felt strong, super soft, fluffy and smooth once it was completely air dried. Don't get me wrong, my hair normally feels this way after a deep condition with my hooded dryer, but this took it to another LEVEL, remember I am 10 WEEKS POST relaxer. Overall, my hair was left with more moisture than it usual has at the end of my wash day. I am pleased. Part 3 will be taking place in exactly ONE WEEK. 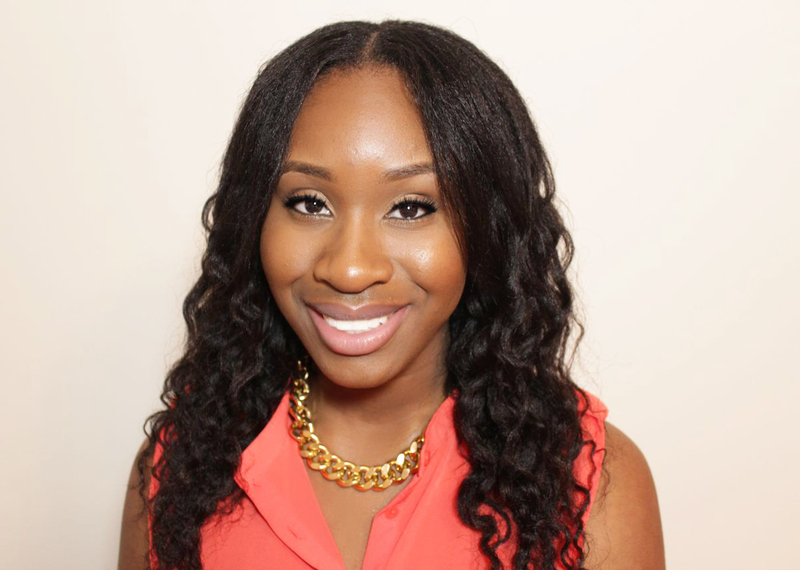 Let's Chat: Is Your Hair Changing People's Initial Perceptions? Aunty: "Is that all yours?" Me: "You mean my hair?" Me: "Of course, this is all me!..LOL"
My mother told me on numerous occasions that my Aunt never had high hopes for my hair because it was always dry, coarse, rough and short as a child. She always thought my sister would have longer hair since it was much softer & "cooperative", similar to my mother's hair. So, my question to you is..
Have you changed other people's minds about your hair thus far into your hair journey? 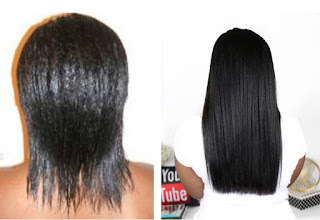 Have you proved the hair haters wrong? Let me know...I know I did with my aunt and it feels GOOD..LOL. I am proud to announce a new partnership with UrbanBeautyCollective.com. URBANBEAUTYCOLLECTIVE.COM is the go-to gathering place for ethnic style professionals and the people they inspire. The photos, forums and tips are from real, working black beauty pros from all over the USA and abroad with hands-on experience, not high-paid editors who give advice in theory. URBANBEAUTYCOLLECTIVE.COM is the online community of the acclaimed US network, Urban Beauty Collective (UBC). Look out for my featured blog in the STYLE LIST section of UBC. HAIRLISTA.COM will be featuring UBC’s celebrity style shot from the STYLE SQUAD that includes celebrity hair stylist to Rihanna, Ursula Stephen and celebrity ward robe stylist to Alicia Keys, Wouri Vice. Don’t forget to join URBANBEAUTYCOLLECTIVE.COM and share your thoughts, photos and love for everything style. They look forward to interacting with you on URBANBEAUTYCOLLECTIVE.COM. Promises: No Petroleum Jelly that can weigh down hair and clog follicles. 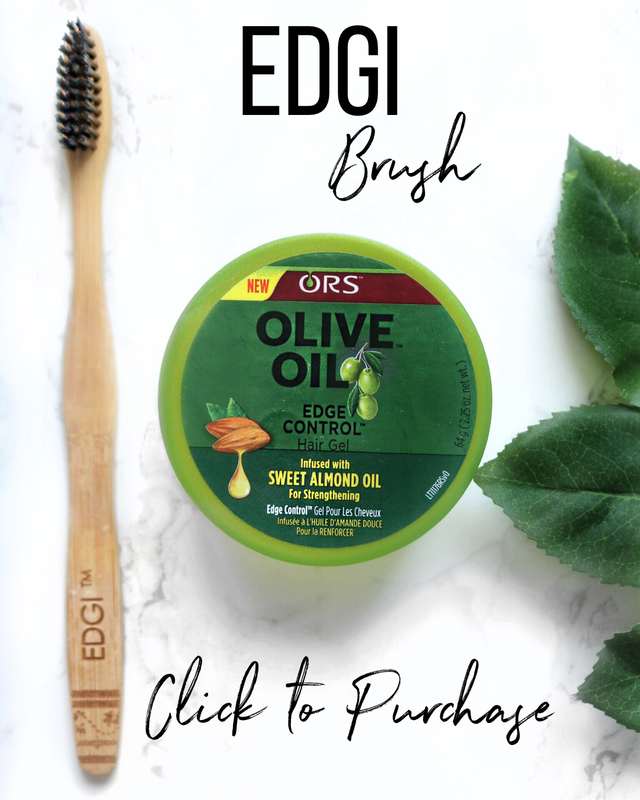 This light, non-greasy formula enriched with NATURAL OILS and VITAMINS A, B, C, & E will add moisture to your hair leaving it soft and manageable. OLIVE OIL has long been used as a skin softener which you will notice on your fingertips and cuticles after each use. 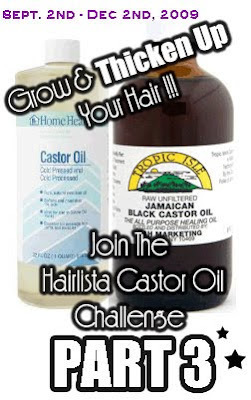 With regular use you should obtain the same results on your scalp. 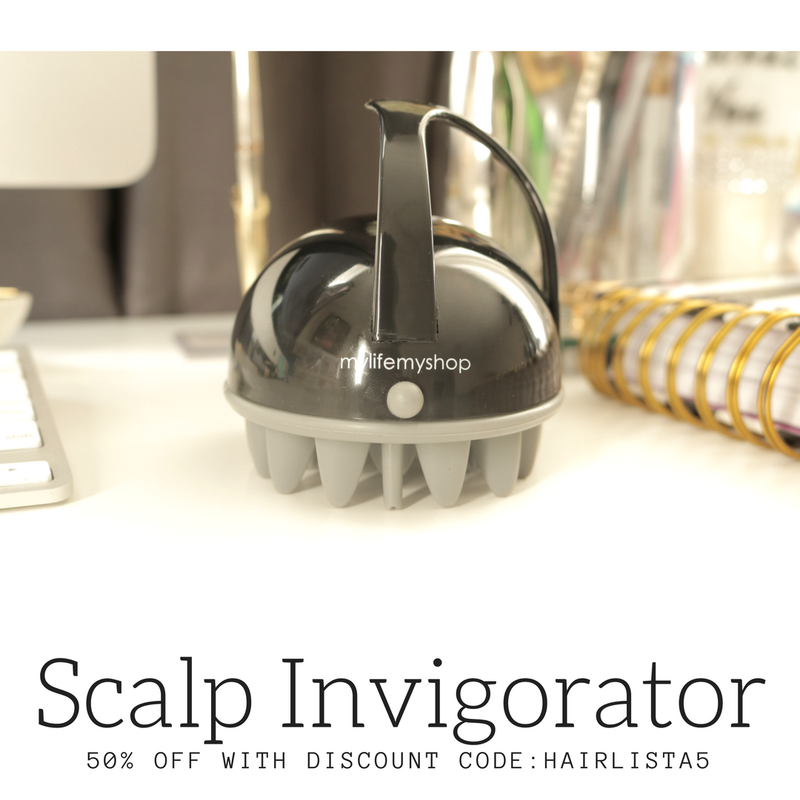 Directions: Apply to fingertips and gently massage throughout hair and scalp. The Truth: I picked this up from my mother's room since it was just laying around, so I take it that she didn't really like it. Anyway, I tried it out on my hair (which has been straighter than normal since I did a roller set) for a few days now and I must say it's pretty good. It does not weigh my hair down (dipped 2 fingers in the jar only using a dime size amount per section) and it leaves my hair soft, provides a healthy glow/shine, feels incredibly smooth to the touch and moist. THIS IS A SHOCK to me since oil based products (yes water is the 1st ingredient, but it's full of oils) don't necessarily agree with me....but this did! Tip #1 : Use a light weight oil to seal in moisture i.e. Coconut Oil (what I used), Grapeseed oil etc. Tip #2 : If you're suffering from dry ends, apply a small amount all over, paying close attention to your ends, then baggy for 2-3 hrs. You'll have soft & hydrated ends. We've been recently added to the Top Sista Blogs site!! 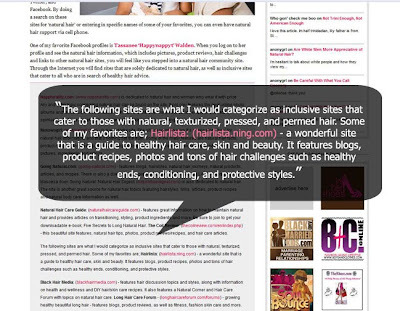 If you love the Hairlicious Inc. blog, please vote for us by clicking on the banner below!! Check out what Clutch Magazine had to say about US :-] Hairlista is on the map!!! "I am curious about the lanolin oil in the hollywood beauty castor oil. 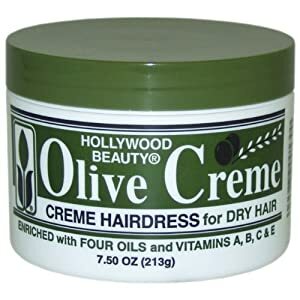 I've been reading that lanolin is a bad ingredient to have in any of your hair care products, so what about the hollywood beauty castor oil with mink oil? Is that ok to use ?" Lanolin is a very greasy material produced by the sebaceous glands of sheep. Lanolin is a mixture of fatty acids, wax esters, and a complex mixture of other organic compounds. In its natural state, lanolin contains about 25-30% water by weight. When applied to skin or hair, it is very effective at penetrating the surface and enhancing moisture retention. Lanolin is also beneficial because it continues to absorb moisture from the air, and can thus act as a humectant for the skin or hair. 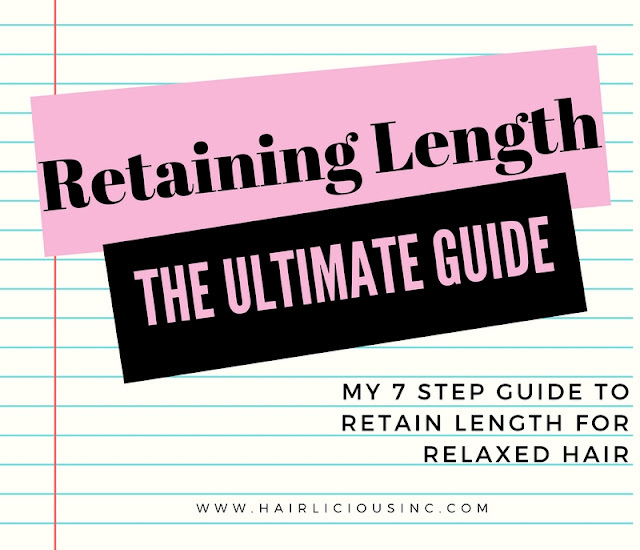 Lanolin is sometimes considered to be too thick and greasy to be used liberally on curly hair, as it can really weigh down the curls and create frizz, but this is really dependent upon the degree of curl. A person with extremely curly hair would find it very beneficial to their hair. Its unique and complex chemical composition should make it very easily removed from the hair with a gentle shampoo or conditioner wash. In summary, lanolin is an excellent conditioning agent for hair, but consideration of hair type should be used when selecting products for hair. People with extremely curly hair (such as those with 3C, and the 4’s) can most likely use lanolin-containing products in their regimen and enjoy soft, smooth hair without losing curl or gaining frizz. Those with wavy or slightly curly hair (such as 2A, 2B, 3A, and 3B type) may find products containing lanolin to be too heavy.